The A3094 will be closed yet again starting on 28th June to complete the works started in 2017. The works are planned to run for 48 hours. Please note the works are now starting on 28th June (and not 26th as indicated on the mobile roadside electronic signs). 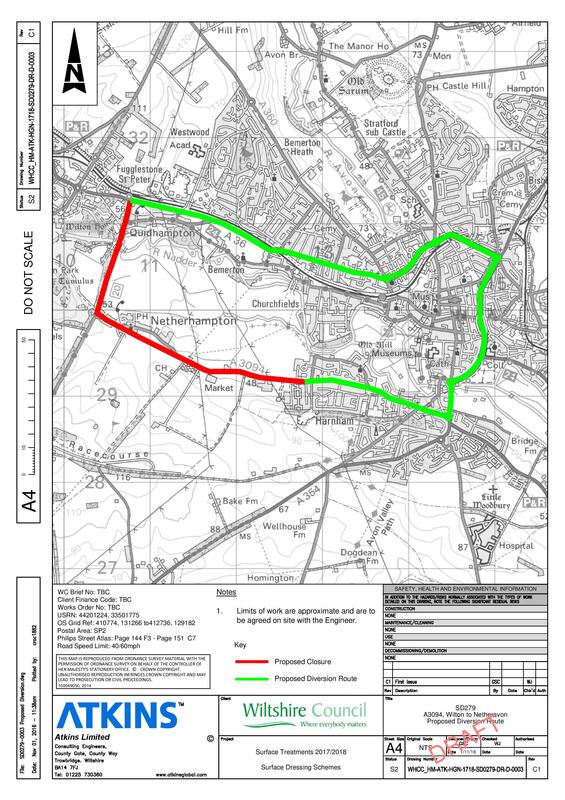 The closure will be from the A36-A3094 Park Wall Junction all the way round to the junction with Upper Street in Harnham. Access will be maintained for residents. For further information please contact Steve Hawkins (Eurovia) on 01249 468582 (office hours) or 07900 715776 (outside of office hours). See here for the Official Notice.